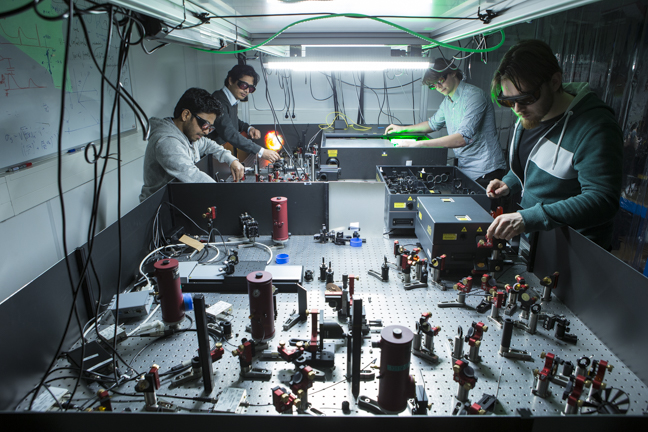 This group uses high-intensity ultrafast lasers and spectroscopy to study the physics of laser-induced ultrasonics for sub-surface inspection applications and to study laser-induced damage on metals and dielectrics. In our group, we study how extremely short light pulses can be used to generate and detect extremely high frequency (~100 GHz) ultrasound. One of the advantages of laser-induced ultrasound is that sound waves can propagate through materials that are opaque to visible light. 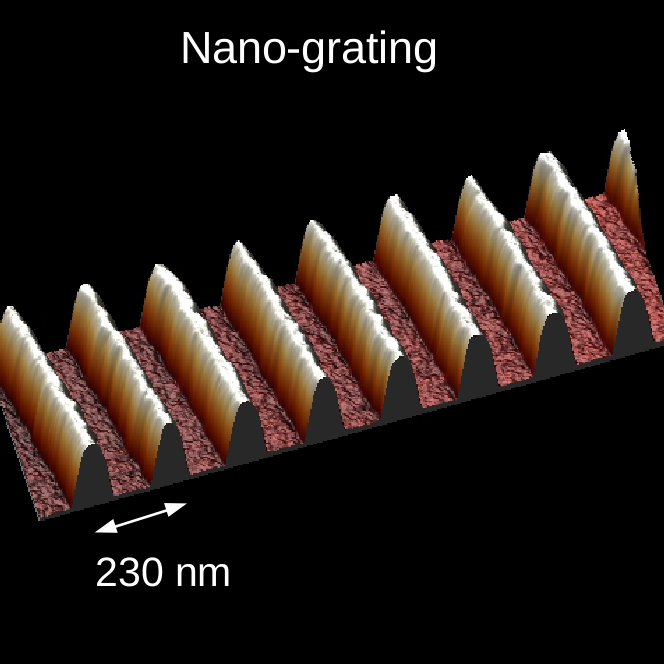 This means that this sound can be used to “see” through these layers and detect the presence of micro- and nano-structures buried below these layers. We use femtosecond lasers and a variety of technique to generate and detect these high-frequency sound waves. The physics behind these phenomena involves ultrafast electron and phonon dynamics, propagation of light pulses in matter, diffusion of electron energy, and the generation, detection an application of extremely high frequency sound waves. In some experiments we study what happens when the laser intensity crosses the threshold where damage occur. In a tongue-in-cheek way of phrasing this one could say that this means we are entering the domain of extreme nonlinear physics, but this is exactly what happens when we damage a material.